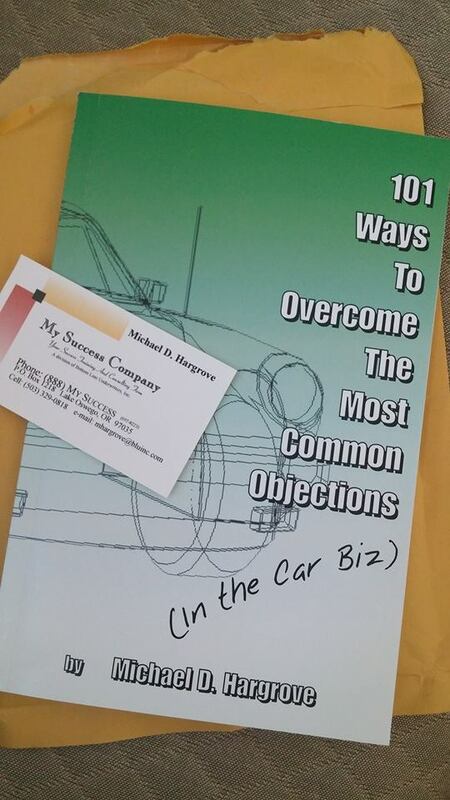 Eliminating Sales Objections - Bottom Line Underwriters, Inc.
You are in front of one of your biggest accounts. You’ve asked the right questions and gave a dynamic presentation. So much money hinges on this client’s answer. Your heart is beating rapidly, your hands feel clammy. The time has come to ask for the order. You take a deep breath and say, “Let’s do it!” But, the client pauses and says, “It’s just not in the budget. I need to think about it. Call me in six months.” End of the road? No! Sale in six months? No! More than likely the client is ready to buy and is just afraid of making an immediate decision. If his fears were eliminated, he’d buy now ! So, why do so many salespeople leave with no sale? They never learned how to deal with and eliminate objections and hang in there to get the sale. It’s crazy to hear the same objections over and over and not know how to deal with them. There’s no reason to be unprepared. After a few months in any industry, salespeople have heard most of the objections they will hear over and over again for years. How do you handle objections, and what are the steps you go through to be prepared? The secret lies in the ability to ask the right questions. Not just questions to find need, but questions that eliminate objections and commit the client to buy. The person asking the questions is the person in control. And being in control is the key to getting the sale. Do not be afraid of objections. Through a client’s objections he is telling you exactly what his needs and wants are, what he objects to, and where his fears lie. The only way to sell a person is by uncovering his objections and dealing with them immediately, or they’ll come back to haunt you later. There’s no way to sell someone without understanding the real objections. If you don’t discover the real problem, later, when he says no, you won’t know why. Narrow these objections down and eliminate them until finally there are none left, and it is easy to close the sale. You must cancel all objections or narrow them down to one before you begin your sales presentation. If you do this, the client can’t come up with other objections. If you know how to deal with objections properly, you won’t spend a lot of time dealing with false objections. You need to boil it down to the exact real objection. What Keeps You From Being Too Pushy? You should not quit selling when the client is giving you objections or if he is also giving you buying signals. If you get negative body language, you should either start asking more questions or re-schedule the appointment. Objections appear when you begin to sell or close the sale. They are maneuvers the clients can use to postpone the decision. Often, when you begin talking about your company, your client will become defensive and think of reasons why he does not need your service or product. However, at the beginning of the call, if you talk about his business and not about yours, he won’t be bothered and will tell you things he won’t reveal once you’ve begun your sales presentation. Remember, people love to talk about themselves. As a salesperson, your job is to give the client the facts, advantages and benefits of what you’re selling. When the client raises an objection, you should assume he has not really voiced an objection but has asked for more information. Suppose the client says, “Your price is too high.” You can infer that he asked, “Why are your prices higher than your competition?” With this way of thinking, you can tell him why they are higher without sounding defensive. Salesperson: “What you are wondering is, ‘Would our company do a better job for you? No matter what the objection is, you can start your answer by saying, “Why, Mr. Client, that is the very reason you should buy.” When a person states an objection, he reveals his principal reason for not buying. If the salesperson can turn that objection into a reason for buying, he will have an excellent chance to get the sale. It also makes it hard for the client to keep using that objection because it has now become the reason for buying. You have taken away its power. If you feel the client has some reason for not using your company he hasn’t stated, ask him what it is. Salesperson: “Then, if you had the budget, would you buy? You see, you would have been going nowhere dealing with “budget objection” because he wasn’t the real decision-maker. Only by narrowing it down to one objection and then asking for a commitment to buy can you flush out the real problem. Otherwise, you waste time and wonder why you didn’t sell him. “Did you choose this location because you live close or work close? Find some point of agreement with your client before you start to answer an objection. This is the best known way to cushion your answer and render it unobjectionable. The client will not object as much if he knows you understand his problem. You are not arguing or putting down his remark, you are merely adding information while keeping the client’s ego intact. You are not selling something that is perfect in every way, and when a client objects to a real limitation, you will be better off by admitting it. Having done that, continue your presentation focusing on the aspects that are favorable. If you try to convince the client that something is right when it is obviously not, you will probably lose the sale. People buy not because you answer all objections; they buy because they want it. Clients bring up past problems because they want empathy and understanding. So admit it, and go on selling. If the objection is obviously untrue, you can smile and say, “Of course I don’t believe that.” or, “Of course you don’t mean that, Mr. Client.” You can’t let the client make you look like an idiot. If the client cannot answer your question, then he has disproved it himself. The client may flounder around then admit that his objection was not really important. So, one of two things will happen: The client can’t give a satisfactory answer, so he disproves it himself. Or, he gives an excellent answer, which gives you a more specific, real reason that can be dealt with. In other words, it puts you on the correct highway to the close. It lets the client know you are listening. It helps avoid misunderstanding and ensures that you answer the right question. It gives you time to think about how you are going to answer. Sometimes, when an objection that is stupid or outrageous is repeated back, the client will admit it is not real or important. Also, it can bring out the actual concern. For example, in radio you know you have low numbers, so when you go in to see the client you say, “Would you rather have eight people in your store who buy or 100 who don’t buy? There is no reason to be unprepared. If you have been selling at least three months, you already have heard and know 99% of all objections for your industry. The client knows how to get rid of you with his patent answers, so you must know how to deal with every objection. It only makes sense to anticipate the objections you hear over and over, not be bothered by them, and have a ready answer. By doing this, you will increase your effectiveness and sell a lot more.